Nothing is more iconic or reminiscent of quaint little seaside towns than the sight of a large fishing vessel. 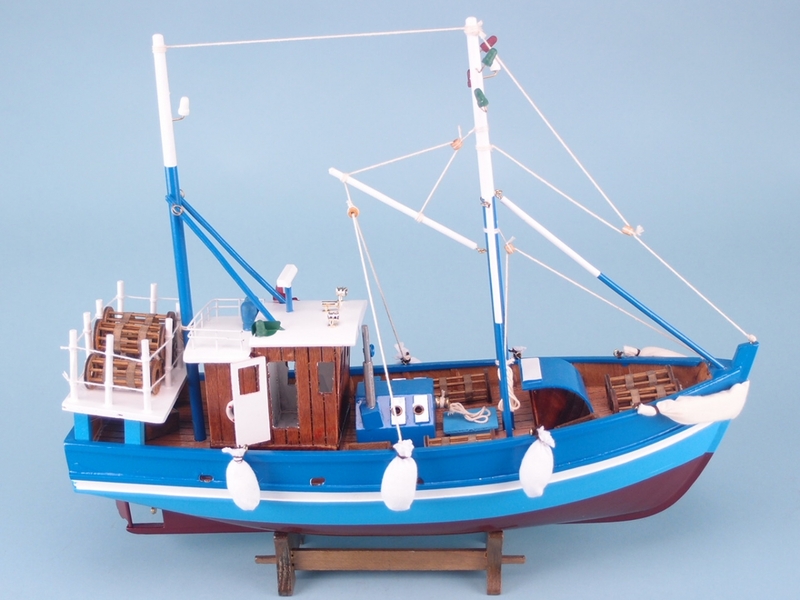 The Blue Fishing Boat, brought to you by SDL Imports, proudly features among our wide selection of stunning fishing vessels. 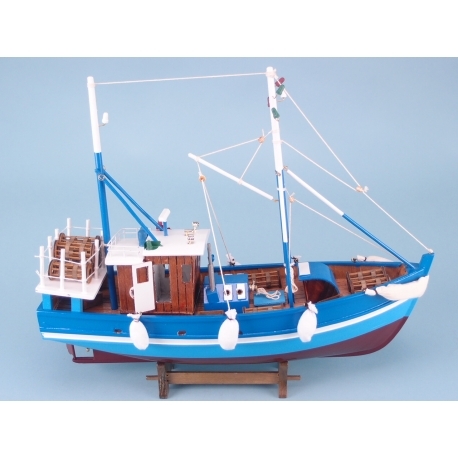 Each model depicts in exquisite detail the various features of a fishing vessel all too common in parts of the UK such as Cornwall. Each boat has been painstakingly handcrafted from the sails and mast right down to the decking features. Finally, each boat has been hand painted for a quality finish. A must-have product for any gift store.